Most individuals brush their teeth, at least we hope so. However, there are many who brush incorrectly and don’t realize that their dental hygiene practices may be negatively affecting oral health in Seattle. They may pride themselves on their daily dental hygiene, but frequency does not make up for an incorrect technique. One of the most common errors—especially for adolescents—is rapid, aggressive teeth cleaning with a hard bristle toothbrush. There is a certain logic to this technique; when you want to clean smooth surfaces like bathroom tiles, you scrub with a hard brush, right? The catch is that teeth and gums require a certain finesse. While enamel is stable, the soft tissues in the mouth are not designed for intense scouring. If you use hard bristles against possible cavity makers, froth at the mouth, speed through those 30 inches of tooth surface, and spit everything out in less than a minute, this message is for you. 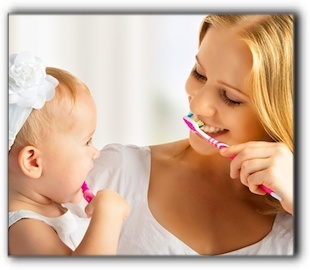 The friendly dental hygienists at Advanced Cosmetic & Laser Dentistry teach patients the proper way to brush teeth and improve their oral health in Seattle. With a slow, deliberate two minutes twice daily, you can take control of your dental hygiene, improve your oral health in Seattle, and diminish the risk of future problems. If you have already damaged your teeth or gums through aggressive or haphazard brushing, it’s important to fix those troubles and get back on track. Call 206-720-0600 to schedule an appointment with dentist Brian McKay of Advanced Cosmetic & Laser Dentistry. We also offer services such as dental implants, IV sedation, and Invisalign clear braces. Use the form below to ask a question about Smart Brushing Trumps Aggressive Brushing | Oral Health in Seattle and one of our expert team members will get back to you shortly.